granting financial, technical assistance and trade concessions. 6 Jun 1975 Georgetown Agreement formally creating the ACP Group signed. 23 Jun 2000 Cotonou Agreement signed (effective 1 Apr 2003). 1from 1975 Benin. 2from 1985 Côte d'Ivoire. 3from 2018 Eswatini. 4from 1984 Burkina Faso. 5from 1997 Samoa. 6from 1997 Congo (Kinshasa). 7from 2013 Cabo Verde. 12 Sep 1961 African and Malagasy Union (Union Africaine et Malgache)(UAM). established in succession to OAMCE; charter signed 29 Apr 1964. UAM (charter signed 27 Jun 1966, enters into force 28 Dec 1967). (Organisation Commune Africaine, Malgache et Mauricienne)(OCAMM). (Organisation Commune Africaine et Mauricienne)(OCAM). 23 Mar 1985 Formally dissolved. 1Cameroon & Chad withdrew 1 Jul 1973. 2Congo withdrew 1972. 3from 1975 Benin. 4Gabon withdrew 7 Sep 1976. 5to 30 Dec 1975 Malagasy Republic; withdrew Aug 1973. 6Mauritania withdrew 24 Jun 1965. 7from 1984 Burkina Faso. 81966-1971 Congo (Kinshasa), from 1971 Zaire; withdrew 1972. 9Seychelles withdrew 1978. 4 Aug 1963 African Development Bank agreement signed. 10 Sep 1964 African Development Bank (AfDB) founded. 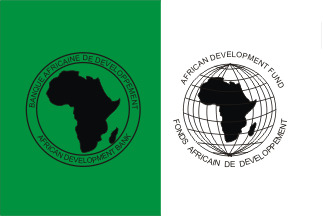 of the AfDB Group, created (operational 1974). d'Ivoire. 4United Republic of Tanganyika and Zanzibar, renamed Tanzania 1 Nov 1964. 5from 1984 Burkina Faso. 6from 2018 Eswatini. 7from 2013 Cabo Verde. 8U.A.E. only a member of African Development Fund (ADF) and not of the AfDB. 9Yugoslavia expelled 31 Dec 1992. 25 May 1963 Organization of African Unity (OAU). 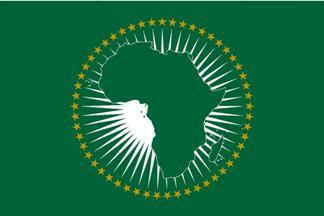 9 Jul 2002 African Union (AU). 18 Mar 2004 Pan-African Parliament established. 1C.A.R. suspended from 25 Mar 2013 - 31 Mar 2016. 2Congo (Kinshasa) 1966-71 and from 1997; 1971-97 Zaire; suspended its participation 12 Nov 1984 - 1986. 3from 1975 Benin. 4Egypt suspended 5 Jul 2013 - 17 Jun 2014. 5Guinea suspended 29 Dec 2008 - 9 Dec 2010. 6from 1985 Côte d'Ivoire; suspended 9 Dec 2010 - 21 Apr 2011. 7Malagasy Republic to 30 Dec 1975; suspended 10 Jul 2002 - 10 Jul 2003 and 20 Mar 2009 - 27 Jan 2014. 8Mali suspended 23 Mar - 24 Oct 2012. 9Mauritania suspended 4 Aug 2005 - 10 Apr 2007 and 9 Aug 2008 - 1 Jul 2009. 10Morocco withdrew 12 Nov 1984; rejoined 30 Jan 2017. 11Niger suspended 19 Feb 2010 - 16 Mar 2011. 12Tanganyika and Zanzibar merged 26 Apr 1964 to form United Republic of Tanganyika and Zanzibar; renamed Tanzania 1 Nov 1964. 13Togo suspended 25 Feb - 27 May 2005. 14from 1984 Burkina Faso, suspended from 17 Sep 2015. 15from 2018 Eswatini. 16Guinea-Bissau suspended 17 Apr 2012 - 17 Jun 2014. 17from 2013 Cabo Verde. 18Comoros suspended 20 Feb 1978 - 23 Feb 1979. 3 Jul 1978 Amazon Cooperation Treaty (ACT). (Organización del Tratado de Cooperación Amazónica [OTCA]). 13 Dec 2002 Permanent secretariat inaugurated. 26 May 1969 Andean Pact (Acuerdo de Cartagena) established. 25 Oct 1979 Andean Parliament (Parlamento Andino) established. 10 Mar 1996 Renamed Andean Community (Comunidad Andina)(CAN). 1 Aug 1997 Secretariat established. 1Chile withdrew 30 Oct 1976. 2Peru membership suspended at its own request 26 Aug 1992 - 4 Apr 1994, resumed full participation 25 Jun 1997. 3Venezuela withdrew 22 Apr 2006. 1 Dec 1959 Antarctic Treaty signed. 23 Jun 1961 Antarctic Treaty comes into effect. 1 Sep 2004 Antarctic Treaty Secretariat (ATS) inaugurated. 1Soviet Union dissolved 25 Dec 1991, succeeded by Russia. 2Czechoslovakia dissolved 31 Dec 1992; on 1 Jan 1993 succeeded by Czech Republic and Slovakia. 3East and West Germany united 3 Oct 1990. 4date of deposit of notification of succession by Papua New Guinea; effective 16 Sep 1975 the date of its independence. 22 Mar 1945 League of Arab States (Arab League) founded. 1Egypt suspended 26 Mar 1979 - 23 May 1989. 2Syria merged with Egypt to form United Arab Republic 22 Feb 1958; seceded from U.A.R. 28 Sep 1961 and rejoined Arab League 28 Oct 1961; suspended from 16 Nov 2011. 3from 1949 Jordan. 4Yemen (Aden) and Yemen (Sana) united in 1990 as Yemen. 5Libya announced its withdrawal 24 Oct 2002; this would be effective one year later; Libya canceled (16 Jan 2003), reaffirmed (3 Apr 2003), and again canceled (25 May 2003) the decision to withdraw; suspended 22 Feb 2011 - 25 Aug 2011. 17 Feb 1989 Arab Maghreb Union (AMU) formed. 19 Sep 1996 Arctic Council formed. 17 Sep 1998 Inauguration of the council. 1 Feb 2013 Permanent secretariat inaugurated. 6 Nov 1989 Asia-Pacific Economic Cooperation (APEC) founded. 12 Feb 1993 Secretariat inaugurated. 22 Aug 1966 Asian Development Bank (ADB) established. 19 Dec 1966 Operations begin. 1from 1997 Samoa. 2Republic of Vietnam to 30 Apr 1975, then Republic of South Vietnam; from 2 Jul 1976 Socialist Republic of Vietnam; succession recognized by ADB on 23 Sep 1976 retroactive to 2 Jul 1976. 3upon the admission of the People's Republic of China on 10 Mar 1986 the Republic of China (Taiwan) is re-designated "Taipei, China" and continues its membership under that designation. 4from 1972 Sri Lanka. 5from 1989 Myanmar. 6in 1975 Ellice Islands (later Tuvalu) separated from the Gilbert Islands which alone remained a member of the Bank; from 1979 Gilbert Islands renamed Kiribati. 7from 2003 Timor-Leste. of the Articles of Agreement). 16 Jan 2016 Operations begin. 24 Jul 1994 Treaty of Association of Caribbean States signed. 1on behalf of French Guiana, and (from 21 Feb 2007) Saint Barthélemy (Saint Martin 21 Feb 2007-4 Jun 2016 and 18 Feb 1998-14 Feb 2014 for Guadeloupe and Martinique). 2Netherlands Antilles dissolved 10 Oct 2010. 3on behalf of Bonaire, Saba, and Sint Eustatius. 8 Aug 1967 Association of Southeast Asian Nations (ASEAN) created. 24 Feb 1976 Secretariat established. 26 Feb 1930 Bank for International Settlements (BIS) founded. 20 May 1930 Founding banks subscribe first share issue. 10 Jul 1939 - 9 Dec 1946 Board of directors suspends operations. 1Germany suspended 9 Dec 1946 - 3 Apr 1950; from 3 Apr 1950, Federal Republic of Germany. 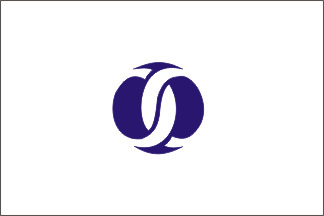 2Japan suspended 9 Dec 1946 - 26 Dec 1952; withdrew 26 Dec 1952, rejoined 2 Jan 1970. 3U.S. did not take seat on board of directors until 13 Sep 1994. 4Austria annexed to Germany 14 Mar 1938 - 27 Apr 1945. 5Czechoslovakia voting rights suspended May 1939-1945; dissolved 31 Dec 1992; on 1 Jan 1993 membership succeeded by Czech Republic and Slovakia. 6Danzig annexed to Germany 1 Sep 1939 - 7 Apr 1945, then annexed to Poland; on 11 Jun 1979 Danzig issue of shares are cancelled. 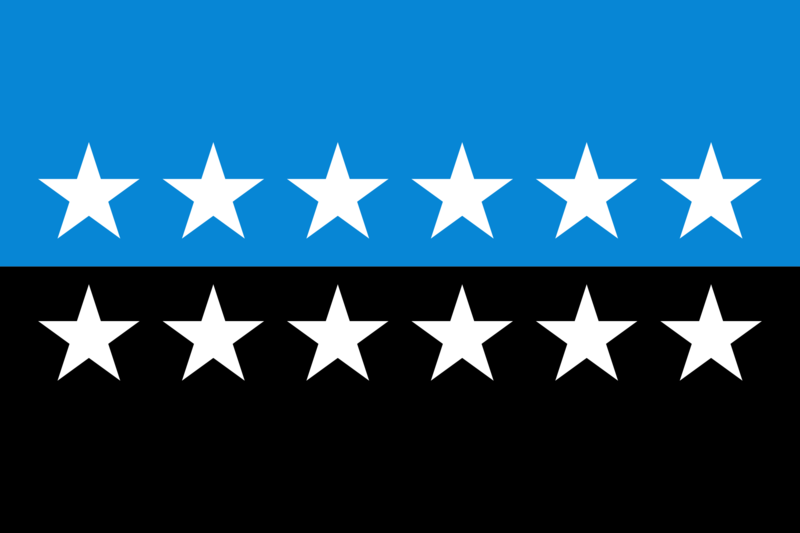 7Estonia, Latvia, and Lithuania shareholdership and membership deactivated Jul 1940 - 30 Jun 1992. 8Albania withdrew 1977; 1,000 shares of the Albanian issue suspended and held in treasury. 9on 11 Jun 2001 original Yugoslavia shares canceled and new shares issued for central banks of Bosnia-Hercegovina, Croatia, Macedonia, Slovenia, and Federal Republic of Yugoslavia. 10as Former Yugoslav Republic of Macedonia; from 2 Feb 2019 North Macedonia. 11Yugoslavia suspended 1992 - 10 Jun 2001, readmitted 10 Jun 2001; from 4 Feb 2003 called Serbia and Montenegro; on 5 Jun 2006 succeeded by Serbia. 25 Jun 1992 Black Sea Economic Cooperation (BSEC) founded. 1 May 1999 Organization of the Black Sea Economic Cooperation (BSEC). 1succeeded by Serbia on 5 Jun 2006.
to exist when remaining members acceded to CARICOM on 1 May 1974). 1 May 1968 CARIFTA and Commonwealth Caribbean Regional secretariat organized. 1 Aug 1973 Caribbean Community and Common Market (CARICOM) inaugurated. 1from 1981 Antigua and Barbuda. 2from 1983 Saint Kitts and Nevis. 3member of the community but not the common market. 4Haiti admitted on 4 Jul 1997, but did not deposit instrument of accession until 5 Jul 2002; suspended 29 Feb 2004 - 7 Jun 2006. 1from 1 Jun 1973 Belize. 2left to join CARICOM 1 Aug 1973. 26 Jan 1970 Caribbean Development Bank (signed 18 Oct 1969). 1from 1973 Belize. 2from 1983 Saint Kitts and Nevis; Anguilla ceased to apply the Agreement as part of St. Christopher-Nevis-Anguilla on 19 Dec 1980 and became a member in its own right 4 May 1982. 3from 1981 Antigua and Barbuda. 4France withdrew 27 Oct 2000. (Sistema de la Integración Centroamericana) founded. 1 Feb 1993 Secretariat inaugurated. 1Costa Rica suspended participation 18 Dec 2015 - 30 Jun 2016. 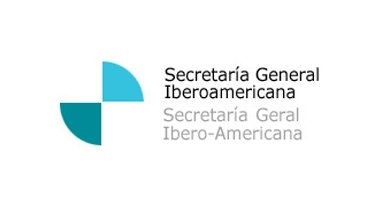 2Dominican Republic an associate member 19 Dec 2003 - 27 Jun 2013.
of Central American Integration System (SICA). 1Panama withdrew 24 Nov 2010; opposition Panamanians (including Dorindo Cortéz) remained in the parliament; rejoined 28 Jan 2013. 15 Apr 1955 Pact of Mutual Cooperation "Baghdad Pact"
22 Nov 1955 Middle East Treaty Organization (MENTO). 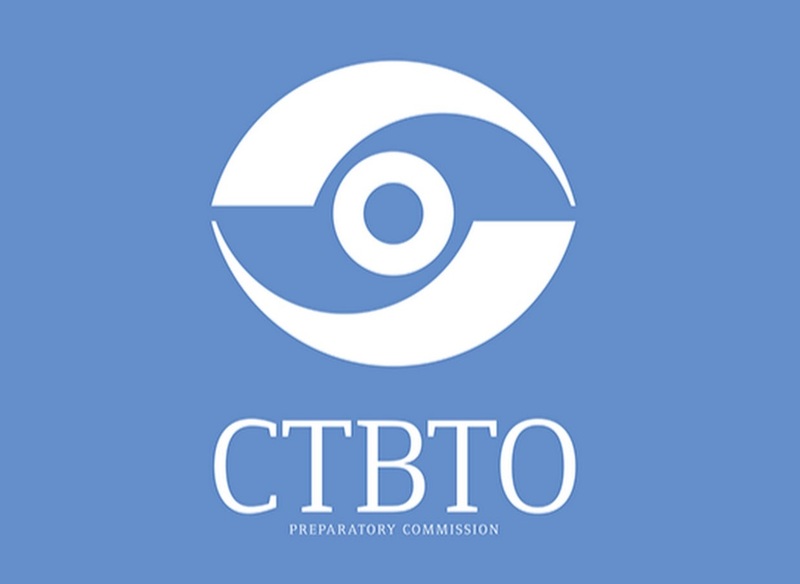 19 Aug 1959 Central Treaty Organization (CENTO). 26 Sep 1979 CENTO dissolved. 1Iraq withdrew 24 Mar 1959. 2Turkey withdrew 15 Mar 1979. 3Pakistan withdrew 12 Mar 1979. 4Iran withdrew 13 Mar 1979. Treaty (CST) signed (enters into force 20 Apr 1994). 18 Sep 2003 Collective Security Treaty Organization (CSTO)(signed 7 Oct 2002). 1Uzbekistan membership suspended at its own request from 28 Jun 2012. 1 Jul 1951 Plan operations commence. Development in Asia and the Pacific (CESDAP). Nov 1980 Duration of the plan extended indefinitely. 1Canada withdrew 1992. 2from 1972 Sri Lanka. 3U.K. withdrew 1991. 4Cambodia withdrew 15 Jun 2004. 5from 2 Jul 1976 succeeded by Socialist Republic of Vietnam; announced Dec 1978 it did not regard itself as a member. 6from 1989 Myanmar. 7from 1963 Malaysia. 8Mongolia provisional member May 1998 - 15 Jun 2004. 9Vietnam provisional member 5 Nov 2001 - 15 Jun 2004. 10Brunei provisional member to 11 Oct 2012. 11Saudi Arabia provisional member to 11 Oct 2012. (PTA) signed (ratified 30 Sep 1982). (treaty signed 9 Nov 1993). 1Angola suspended itself from 14 Nov 2007. 2Lesotho withdrew 12 Nov 1997. 3Mozambique withdrew 12 Nov 1997. 4from 2018 Eswatini. 5Tanzania withdrew 2 Sep 2001. 6from 1997 Congo (Kinshasa). 7Namibia withdrew 9 Nov 2004. 27 Apr 1949 Renamed The Commonwealth. Jul 1965 Commonwealth secretariat created. 1Ireland withdrew 18 Apr 1949. 2Newfoundland became a colony 16 Feb 1934. 3South Africa withdrew 31 May 1961, rejoined 1 Jun 1994. 4Pakistan withdrew 30 Jan 1972, rejoined 1 Oct 1989; suspended from councils 18 Oct 1999 - 22 May 2004 and 22 Nov 2007 - 12 May 2008. 5from 1972 Sri Lanka. 6from 1963 Malaysia. 7Nigeria suspended 11 Nov 1995 - 29 May 1999. 8Sierra Leone suspended from councils 11 Jul 1997 - 10 Mar 1998. 9from 1964 Tanzania. 10The Gambia withdrew 3 Oct 2013, rejoined 8 Feb 2018. 11from 2018 Eswatini. 12Nauru special member to 1 May 1999 and 9 Jan 2006 - 26 Jun 2011; "member in arrears" Nov 2007 - 26 Jun 2011. 13from 1997 Samoa. 14Fiji withdrew 15 Oct 1987, rejoined 30 Sep 1997; suspended from councils 6 Jun 2000 - 20 Dec 2001, 8 Dec 2006 - 1 Sep 2009, and 14 Mar - 26 Sep 2014; fully suspended 1 Sep 2009 - 14 Mar 2014. 15Tuvalu special member to 1 Sep 2000. 16Saint Vincent special member to 1 Jun 1985. 17Zimbabwe suspended from councils 19 Mar 2002, withdrew 7 Dec 2003. 18Maldives special member to 20 Jul 1985, withdrew 13 Oct 2016. 8 Dec 1991 Commonwealth of Slavic States (Belarus, Russia and Ukraine). 21 Dec 1991 Commonwealth of Independent States. 1Tukmenistan withdrew 26 Aug 2005, continues to participate as associate member. 2Ukraine announced on 21 Sep 2015 it would continue taking part "on a selective basis"; it withdrew 19 May 2018. 3Georgia withdrew 18 Aug 2009. 4 Mar 1919 Communist International ("Comintern"). 15 May 1943 Comintern dissolved. (Comunidade dos Países de Língua Portuguesa) constituted. 1from 2013 Cabo Verde. 2Guinea-Bissau suspended Oct? 2012 - 23 Jun 2014. 3from 2003 Timor-Leste. 4Equatorial Guinea an associate observer 16 Jul 2006 - 23 Jul 2014. 16 Feb 2013 Revised community treaty signed. 17 Mar 1997 Provisional secretariat inaugurated. 1as Former Yugoslav Republic of Macedonia; from 2 Feb 2019 North Macedonia. 2from 2013 Cabo Verde. 3from 2018 Eswatini. 5 Mar 1992 Council of the Baltic Sea States (CBSS) created. 29 Jan 1998 Secretariat established. 1Greece withdrew 12 Dec 1969, rejoined 28 Nov 1974. 2(West) Germany an associate member to 2 May 1951. 3Czechoslovakia dissolved 31 Dec 1992. 4as Former Yugoslav Republic of Macedonia; from 2 Feb 2019 North Macedonia. 5from 5 Jun 2006 succeeded by Serbia. 4Saarland withdrew 31 Dec 1956, part of (West) Germany 1 Jan 1957.
established by U.S.S.R. and other communist bloc nations. 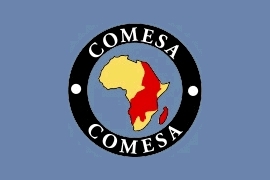 Economic Integration by the Comecon Member Countries adopted. up to the Year 2000 adopted. 28 Jun 1991 COMECON dissolved. 1Albania inactive since Dec 1961, but did not formally withdraw. 2East Germany withdrew 2 Oct 1990. 23 Jul 1921 - Dec 1940 International Danube Commission (IDC). (enters into force 11 May 1949). 1Czechoslovakia dissolved 31 Dec 1992; on 1 Jan 1993 membership succeeded by Slovakia. 2Soviet Union dissolved 25 Dec 1991, membership succeeded by Russia. 3from 1991 Ukraine. 4from 4 Feb 2003 called Serbia and Montenegro; on 5 Jun 2006 succeeded by Serbia. 9 Sep 1980 Treaty on the Dutch Language Union signed. 1 Apr 1984 Dutch Language Union (Nederlandse Taalunie). (Bonaire, Saba, and Sint Eustatius). 2Suriname an associate member. the East African High Commission established in 1948). 6 Jun 1967 East African Community (EAC) established. 1 Jul 1977 EAC dissolved. signed (enters into force 7 Jul 2000). 15 Jan 2001 East African Community re-established. 28 Nov 2001 East African Legislative Assembly established. 1 Jan 2005 EAC Customs Union operational (common market Jan 2010). 1from 1997, Congo (Kinshasa). 2Rwanda withdrew Jun 2007, rejoined 25 May 2015. 20 Jun 1975 ECOWAS treaty enters into force. 14 Mar 2002 ECOWAS parliament established. 1Guinea suspended 10 Jan 2009 - 24 Mar 2011. 2Guinea-Bissau suspended 17 Apr - 29 Jul 2012. 3from 1985 Côte d'Ivoire; suspended 7 Dec 2010 - 21? Apr 2011. 4Mali suspended 27 Mar - 24 Oct 2012. 5Mauritania withdrew 26 Dec 1999 (effective 31 Dec 2000). 6Niger suspended 21 Oct 2009 - 24 Mar 2011. 7Togo suspended 19-26 Feb 2005. 8from 1984 Burkina Faso. 9from 2013 Cabo Verde. 21 Jul 1964 Regional Co-operation for Development (RCD) formed. 27 Jan 1985 Economic Cooperation Organization (ECO) formed. 1members of the RCD 21 Jul 1964 - 1979. 30 May 2001 Eurasian Economic Community (EAEC)(signed 10 Oct 2000). 1 Jan 2010 Customs union of Belarus, Kazakhstan, and Russia inaugurated. 1 Jan 2012 Eurasian Economic Commission (EAC) established. 29 May 2014 Eurasian Union Treaty signed. 1Uzbekistan membership suspended at its own request from 12 Dec 2008. 15 Apr 1991 Inauguration of the EBRD. 1Czechoslovakia dissolved 31 Dec 1992; on 1 Jan 1993 membership succeeded by Czech Republic and Slovakia. 2from 1 Nov 1993, European Union. 3Soviet Union dissolved 25 Dec 1991. 4as Former Yugoslav Republic of Macedonia; from 2 Feb 2019 North Macedonia. 5Yugoslavia broke up in 1992, from Jul 1994 the EBRD did not recognize the Federal Republic of Yugoslavia as its successor and ruled that it had to apply anew for membership, the smaller Yugoslavia rejoined 31 Oct 2001; from 4 Feb 2003 called Serbia and Montenegro; on 5 Jun 2006 succeeded by Serbia. 3 May 1960 European Free Trade Association (EFTA) established. 1Austria, Finland and Sweden withdrew 1 Jan 1995. 2Denmark and U.K. withdrew 1 Jan 1973; Denmark's membership included Greenland from 1 Jul 1961 and Faeroe Islands from 1 Jan 1968. 3Portugal withdrew 1 Jan 1986. 18 Apr 1951 European Coal and Steel Community (ECSC) founded. Common Assembly of the European Coal and Steel Community) opens. 30 Mar 1962, European Parliament) . the 1980's usually known as European Community [EC]). (introduced into circulation 1 Jan 2002). 23 Jun 2016 United Kingdom votes 51.9%-48.1% in referendum to exit the EU. ¹prior to 1962 Algerian coastal territories were organized as départements of France and were part the EEC until the independence of Algeria on 3 Jul 1962; Saint-Barthélemy, which was part of the outermost region of the French département of Guadeloupe, and was never recognized as a separate member, withdrew on 1 Jan 2012. 2Greenland, which joined as part of Denmark and was never recognized as a separate member, withdrew on 1 Feb 1985. 3U.K. announced its intention to withdraw on 29 Mar 2017 (which was to be effective on 29 Mar 2019, later adjusted to 12 Apr 2019 and then postponed to 31 Oct 2019). Areas that are part of the EU (with exemptions): Aland Islands (outside VAT area); Ceuta (outside the customs union and VAT area); Gibraltar (outside customs union and VAT area, not part of Schengen Area); Heligoland (excluded from customs union and VAT area); Melilla (outside the customs union and VAT area); Mount Athos (part of customs union but outside the VAT area); and UN Buffer Zone in Cyprus (European Council determines to what extent provisions of EU law apply). Outermost Regions (OMR) part of the EU: Azores, Canary Islands, French Guiana, Guadeloupe, Madeira, Martinique, Mayotte (from 1 Jan 2014), Réunion and (from 1 Dec 2009) Saint-Martin. Overseas Countries and Territories (OCT) not part of the EU (non-European territories of member states relation between the EU and the OCTs is based on EU law, citizens in principle are European citizens): Greenland (locals are EU citizens, can be granted the right to vote at EU elections); French Polynesia, French Southern and Antarctic Lands, French Scattered Islands in the Indian Ocean, Clipperton Island, Mayotte (to 1 Jan 2014), New Caledonia, Saint-Barthélemy (from 1 Jan 2012), Saint-Pierre and Miquelon, Wallis and Futuna (EURATOM Treaty does apply, locals are EU citizens, and do vote at EU elections); Aruba, Bonaire, Curaçao, Saba, Sint Eustatius, and Sint Maarten (Dutch locals are EU citizens, and do vote at EU elections); Anguilla, Bermuda (only joined OCTA on 2 Jul 2014), British Antarctic Territory, British Indian Ocean Territory, British Virgin Islands, Cayman Islands, Falkland Islands, Montserrat, Pitcairn Islands, Saint Helena, Ascension and Tristan da Cunha, South Georgia and the South Sandwich Islands, Turks and Caicos Islands (locals are EU citizens). Areas that are not part of the EU: Faroe Islands (Danish locals are not EU citizens); Channel Islands (Guernsey, Jersey, Alderney and Sark) and the Isle of Man (EURATOM Treaty does apply, locals are EU citizens), U.K. Sovereign Bases Areas in Cyprus (U.K. locals are not EU citizens); Turkish Republic of Northern Cyprus (locals are EU citizens, but do not vote at EU elections, EU law is applied only in southern Cyprus). Former special territories: Algeria (had a status similar to Outermost Regions 1952-1962); Macao (EURATOM was applicable 1986-1999); Saarland (was fully part of the Community as French-administered European territory 1952-1957); West Berlin (subject to the full application of the treaties 1952-1990). Territorial Disputes: As a political union, the EU has no border disputes with neighboring countries, but Estonia has no land boundary agreements with Russia; Slovenia disputes its land and maritime boundaries with Croatia; and Spain has territorial and maritime disputes with Morocco and with the U.K. over Gibraltar; the EU has set up a Schengen area - consisting of 22 EU member states that have signed the convention implementing the Schengen agreements or "acquis" (1985 and 1990) on the free movement of persons and the harmonization of border controls in Europe; these agreements became incorporated into EU law with the implementation of the 1997 Treaty of Amsterdam on 1 May 1999; in addition, non-EU states Iceland and Norway (as part of the Nordic Union) have been included in the Schengen area since 1996 (full members in 2001), Switzerland since 2008, and Liechtenstein since 2011 bringing the total current membership to 26; the U.K. (since 2000) and Ireland (since 2002) take part in only some aspects of the Schengen area, especially with respect to police and criminal matters; 9 of the 13 new member states that joined the EU since 2004 joined Schengen on 21 Dec 2007; of the four remaining EU states, Romania, Bulgaria, and Croatia are obligated to eventually join, while Cyprus' entry is held up by the ongoing Cyprus dispute. 16 Oct 1945 FAO established as a specialized agency of the United Nations. 1the Republic of China (Taiwan) withdrew 21 Jul 1952; China (People's Republic) rejoined on 1 Apr 1973. 2Czechoslovakia withdrew 27 Dec 1950, rejoined 10 Nov 1969; dissolved 31 Dec 1992. 3withdrew 25 Apr 1951, rejoined 9 Nov 1957. 4South Africa withdrew 18 Dec 1964, rejoined 9 Nov 1993. 5FAO ruled on 20 Nov 1992 that Federal Republic of Yugoslavia (Serbia and Montenegro) could not continue automatically the membership of the former Socialist Federal Republic of Yugoslavia and that it had to apply anew for membership, which it did and was readmitted 2 Nov 2001; from 4 Feb 2003 called Serbia and Montenegro; on 5 Jun 2006 succeeded by Serbia. 61958-1961 Syria part of the United Arab Republic, union of Egypt and Syria. Syria left FAO on 11 Apr 1958; On 28 Sep 1961 Syria seceded from the U.A.R. and resumed its separate membership on 4 Nov 1961. 7Hungary withdrew 26 Jan 1952, rejoined 6 Nov 1967. 8from 1989 Myanmar. 9from 1972, Sri Lanka. 10Republic of Vietnam to 30 Apr 1975, then Republic of South Vietnam; from 2 Jul 1976 Socialist Republic of Vietnam; succession recognized by FAO council on 2 Dec 1976. 11Yemen (Aden) and Yemen (Sana) merged 22 May 1990 as Yemen. 12from 1963, Malaysia. 13from 1975 Benin. 14Congo (Léopoldville) to 1966; 1966-71 and from 1997 Congo (Kinshasa); 1971-97 Zaire. 15from 1985 Côte d'Ivoire. 16to 30 Dec 1975 Malagasy Republic. 17from 1984 Burkina Faso. 18Tanganyika merged with Zanzibar 26 Apr 1964 to form the United Republic of Tanganyika and Zanzibar; renamed Tanzania 1 Nov 1964. 19from 2018 Eswatini. 20from 2013 Cabo Verde. 21to 21 Mar 1990 as United Nations Council for Namibia (not recognized by South Africa). 22from 1997 Samoa. 23member organization; from 1 Nov 1993 European Union. 24as Former Yugoslav Republic of Macedonia; from 2 Feb 2019 North Macedonia. 1full members from 9 Nov 1961. 2Cyprus full member from 14 Sep 1960. 3Nigeria member from 11 Oct 1960. 4Rhodesia and Nyasaland dissolved 31 Dec 1963. 5full member from 17 Nov 1960 as Somalia. 6Tanganyika became a full member 8 Feb 1962; Tanganyika merged with Zanzibar 26 Apr 1964 to form the United Republic of Tanganyika and Zanzibar; renamed Tanzania 1 Nov 1964. 7from 22 Aug 1966 full member as Guyana. 8Jamaica full member from 13 Mar 1963. 9Mauritius full member from 12 Mar 1968. 10Kenya full member from 27 Jan 1964. 11Malta full member from 5 Oct 1964. 12full member as Lesotho from 7 Nov 1966. 13full member as Botswana from 1 Nov 1966. 14Qatar full member from 8 Nov 1971. 15Puerto Rico withdrew 21 Dec 1996. 15 Nov 1975 "Group of 6" (G-6) industrialized nations formed. 27 Jun 1976 Renamed "Group of 7" (G-7). 20 Jul 2001 Renamed "Group of 8" (G-8). 24 Mar 2014 Meeting as "Group of 7" (G-7) with suspension of Russia. 1from 1 Nov 1993, European Union. 2Russia suspended from 24 Mar 2014, announced its withdrawal Jan 2017. 1 Jan 2008 Gulf Cooperation Council common market launched. created by Port Louis Agreement. 10 Jan 1984 Victoria Agreement signed. IADB website Headquarters: Washington, D.C.
8 Apr 1959 Inter-American Development Bank (IADB) established. 1seat given to Guaidó government on 15 Mar 2019. 2Yugoslavia ceased to be recognized as a member by resolution of IADB Board of Governors on 21 Apr 1993. note: Cuba signed but did not ratify the 1959 agreement establishing the IADB. 1Eritrea membership suspended at its own request 21 Apr 2007 - 25 Jul 2011. 31 Oct 1888 First Inter-Parliamentary Conference held in Paris.